The 'big book' is out and shipping in the UK and just about to start shipping in the US I think. The Map Reader took a large amont of my time to pull together and edit the materials but I am really pleased with the end result. Its a chunky printed object at 478 pages in hardback cover. It was a good team effort in the end working with my co-editors Rob Kitchin and Chris Perkins. The editorial and production team at Wiley also did a very good job in getting the book done. I really like the cover design using a powerful central image that I suggested to the designers at Wiley. Although perhaps not to everyones taste - Andrew Cook (Map Archivist at the British Library) on a comment on the lis-maps mailing list said: "An intriguing throwback for the book cover illustration? Out on the moorland the controlling male folds and holds the map, pointing out and trying to tell the submissive female where exactly it is that he has brought her. Shades of Ellis Martin covers from the OS of the 1920s and 1930s?". 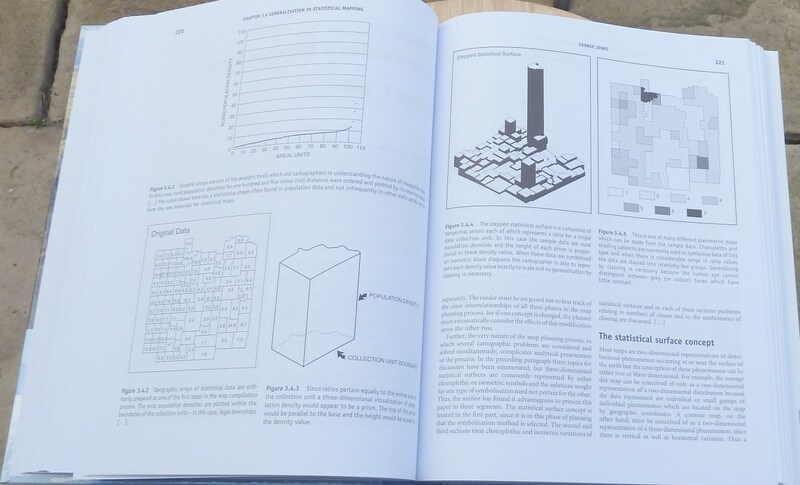 This pdf gives some more detail on The Map Reader, with the full table of contents listing the extensive range of material we chose to include, our preface explaining the aims of the book and the first interpretative essay. Details are also given on the Wiley promotional webpage. 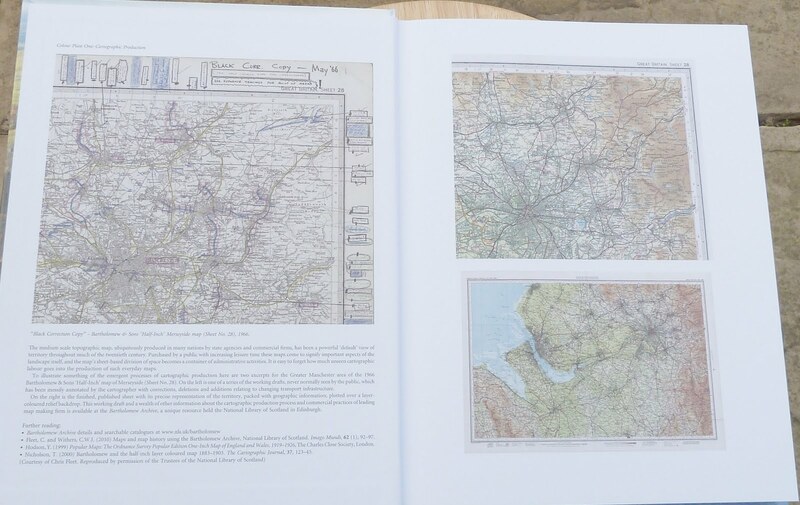 Below are images of a couple of page spreads showing a sample of the text layout and an example of the colour plates. Through the Wiley e-book library service you can also look at all six of the colour plates in the book for free (although they are large pdf files, so beware quite slow to download). But to be honest the colour plates are one of the more disappointing aspects of the book - they lack the impact that I hoped for and some of the images are simply too small on the page for legibility. 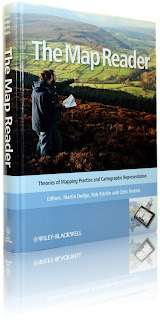 While we appreciate The Map Reader is an expensive academic book (RRP is 80 quid) and likely beyond an impulse individual purchase, it is a really nicely produced hardback volume that we hope will find a role as a valuable reference and source of ideas for researchers and students. It can be ordered direct from Wiley or from your favourite bookshop, including Amazon.